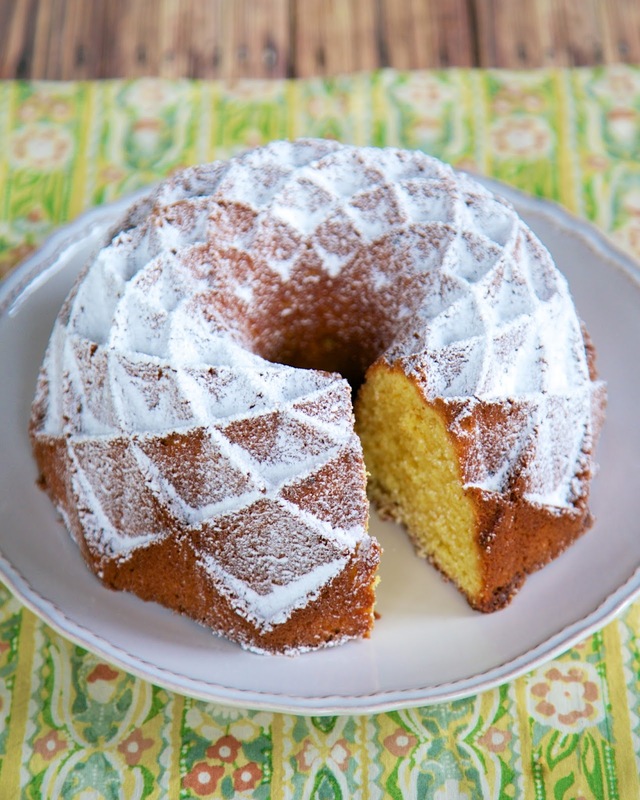 I love to make pound cakes. They are easy to make and taste great. This recipe for this pound cake came with my new cake pan. Isn't it wonderful?! I got it from King Arthur Flour. I love the diamond cuts in the cake. Love! The cake tasted great! We loved all the orange flavor. I decided sprinkle it with powdered sugar, but it would also be good with a quick glaze icing drizzled over it. 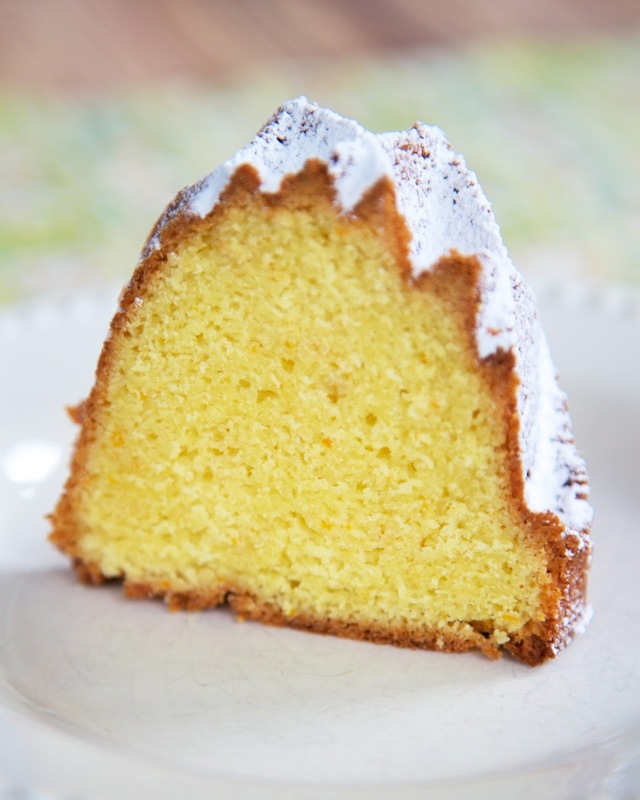 I would use a mixture of powdered sugar and orange juice to highlight the orange flavor in the cake. Serve this with a scoop of vanilla ice cream for a wonderful dessert. This is definitley going on our Easter table. In a medium bowl, combine flour, baking powder and salt. Set aside. In the bowl of an electric mixer, combine butter, sugar and zest. Beat on high speed until mixture is light and fluffy, about 4 minutes. Add eggs one at a time, beating well after each addition. Beat until mixture is light and fluffy, about 4 minutes longer. Combine buttermilk and orange juice. Reduce mixer to low, add dry ingredients in thirds, alternating with buttermilk mixture and ending with dry ingredients. Bake 50-60 minutes, until toothpick inserted comes out clean. Cool in pan for 10 minutes before inverting on baking rack. Steph this looks fantastic. I love citrus in my pound cake!! Hi Steph, Would love to use this recipe! Thanks for sharing. I just saw this pan on PW and I bought it the same day from Sur LaTable. I love it!!! I made my cream cheese pound cake. I'll try this one next. Just made it today. Wonderful flavor and texture. This becomes my son's favorite birthday cake. Thanks for sharing.